recommended, until we have a workaround. Please try the LiveCDs instead! Bill Beebe has already taken this alpha for a quick test drive and published some informative notes. openSUSE officially announced the start of 11.1′s development cycle with a drop of alpha 1. What follows are some quick notes taken after booting into the KDE Live CD version. Note that this is indeed an alpha 1. Going back to “stable”, several people have taken it for a ride and most of the impressions were positive. Here is kmandla’s take. The blog typically presents interviews with Ubuntu contributors. I threatened to abandon my Arch Linux installation the other day, and that happened of course — Crux is recompiling as I type. In between those two I installed OpenSuse just for a lark, and because I don’t think I ever worked with it before. Technically I did — I think I grabbed a KDE4 live CD that was OpenSuse-based a few months ago. This time I used a Gnome-based live CD and let it spin up, install and mess around, just to kill time. Jack Wallen was rather impressed and he shared his experiences with many readers. I am truly impressed with OpenSuSE 11.0. It has made vast progress from its last iteration. I’m so impressed that I am considering keeping this installation and using it as my Linux test-bed (first things first — must install Enlightenment). The experiences previously reported even convinced Beranger to check what this fuss was all about. He did not exactly regret this. Given all these experiences, how can I still sustain my previous critics of people who find openSUSE 11.0 as usable, including SJVN? It’s under Novell’s umbrella, it’s pro-Mono, it’s hand in glove with Microsoft, and so on, but it works reasonably well. I have previously experienced the KDE 4.0 CD, then an installation from the DVD — using KDE 3.5.9. And I wasn’t really impressed. I have now tried its GNOME embodiment. Of course, after removing the unusable Slab menu, restoring a classical dual-panel GNOME layout, changing all the fonts that defaulted to “Sans” into “DejaVu Sans Book”, and uninstalling everything Mono. What followed? Updating, adding Packman and a few other things, testing the hibernation, and so on. I am personally now much closer to understanding SJVN’s point: openSUSE 11.0 is a reasonable choice for people who just want a system that works. Too bad most of the other distros are not that usable or, when they are, they’re not supported long enough, so you’ll be forced to upgrade to something that might break things that were working. Of course, I can’t recommend openSUSE. Given the number of notes on various distros and operating systems, I thought I should try to revisit openSUSE for a reference. As always, there are those who align a given distribution next to another and do comparisons. Here is one which isn’t such a case, but nonetheless it considers things at a shallower level. 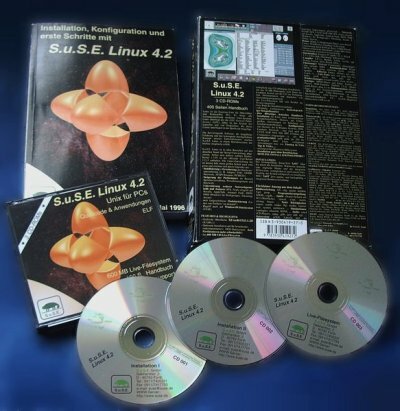 Using openSUSE Linux might be the best way to learn Linux if you have an eye toward becoming a Linux professional. With its focus on community development, you can be assured that you are getting some of the latest open source software available. The skills you learn will scale up nicely to the largest enterprise computing environments. On a more technical side, here is a blog post about OpenSUSE’s improved TabletPC support. Since a while some newer TabletPCs uses Wacom Tablets with Multitouch support which allows to use the Tablet with the pen but also with your fingers as a Touchscreen. One example is the Lenovo ThinkPad X61t. A technical assessment of security in OpenSUSE isn’t too positive in the following post. In openSUSE there is a feature called Auto-Login. In short it means that the root can decide which user account should be started as default upon boot, without displaying a login prompt. If you are the only user on a system it might come in handy as you don’t have to type your password each time. Moreover, when installing openSUSE this option is enabled by default. Timothy Prickett Morgan at the Linux Beacon catches up with Build Service 1.0, which gets praised here. One of the shortcomings of the openSUSE build service was, until recently, that it didn’t help outsiders (non-Novell employees) in contributing to the distribution’s packages. The build service team worked hard in the last few months, and now it is very easy for external people to send patches directly to be included in the main distribution. OpenSUSE boasts this helping hand not just to developers. As some of you may know, several weeks ago, the openSUSE-GNOME Team launched the Helping Hands Project. We’ve had three sessions so far, and each time we host an event, the number of visitors to the #opensuse-gnome IRC channel increases. Last Friday, we actually had a record channel peak of 88 visitors for our Evolution mail client presentation. This was advertised in the mailing lists. Over at OSCON, towards the very end, Zonker was grabbed by a journalist for a conversation. Aside from having one of the niftier names in the industry, Joe “Zonker” Brockmeier has a pretty nifty job, too: He’s the openSUSE Community Manager at Novell, where he oversees the folks that help make what will ultimately turn into the next version of SUSE Linux Enterprise. I grabbed a few minutes of his time to follow up on things I’d talked to him about back at the Red Hat Summit. Not much has happened on the more ‘commercial’ side. The HP 2133 Mini-Note PC appears in the Bangkok Post, but there’s no mention of SUSE, let alone GNU/Linux. Not long ago, market for ultra-portable notebooks belongs to elite class where price is no objection. The launch of Asus Eee PC has forever changed this idea. This year many players try their best to penetrate this newly emerged market. HP has come early and strong with its HP 2133 Mini-Note PC. A short while ago we caught up with the ASUS situation.